We bring science and natural healthcare together. Aisling is an experienced and knowledgeable therapist having trained in several energy healing modalities that include a diploma in Bio-Energy Therapy, Reiki practitioner and Integrated Energy Therapy practitioner certification. Reiki is a non-intrusive complementary therapy using a hands-on healing technique to enhance the body’s own innate ability to heal itself on a physical, mental and emotional level. Reiki helps to bring balance and a sense of peace to those who use this therapy. It can benefit everybody and has been used by those from various backgrounds and belief systems. This healing therapy restores the natural balance of the body leaving the recipient feeling deeply relaxed with a sense of harmony and wellbeing. Reiki is suitable for all age groups, from babies to senior citizens. 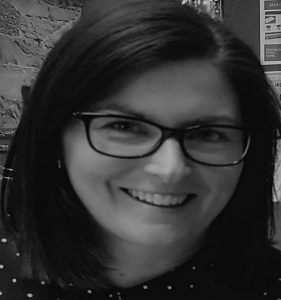 Aisling’s approach to therapy is individualised as no two clients present with the same experiences or concerns and with that, each client’s treatment is tailored to suit their specific needs. Having recently completed a professional certificate in psychosynthesis and a level 9 Food Science module in health and nutrition, Aisling also incorporates this learning into her practice to promote optimal health and wellbeing on every level for her clients.